If you’ve had your doubts over visiting Colombia in the past, set them aside. The 21st Century reputation of the city of Medellin created by drug-related violence is gone. If you’ve ever dreamt of visiting a modern vibrant city where tourism is low, local experiences are frequent, and a unique culture and identity shine through – go to Medellín. Here are 5 reasons to book your flights to Medellín. Right now. Medellín is a perfect rolling metropolis set into the Aburrá valley. 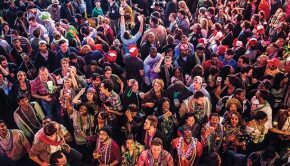 It’s year-round moderate climate and high elevation make it a perfect city to see on any given day and it’s not short on incredible nightlife, fine dining, excellent shopping and plenty of adventure. Adding it’s sophisticated, confident citizens (population 2.1 million) and a brilliant network of ultra-affordable taxis, trains, buses, and gondola lifts and you have a perfect city getaway. Resilient is an understatement when it comes to the locals of Medellín. Reading their history and listening to their stories, from the demise of Inca civilizations, the occupation and influences by Spain and finally the modern reign of Pablo Escobar it is all enough to make your jaw drop. Given all of these experiences, the people of Medellín have emerged as proud Colombians – relaxed, energetic, positive and friendly, and Medellín echoes their energy from corner to corner. They know how to live, and live well. Medellín is also ultra modern and progressive. With new architecture, public transportation, and environmental consciousness it is leaps and bounds ahead of most North American cities. 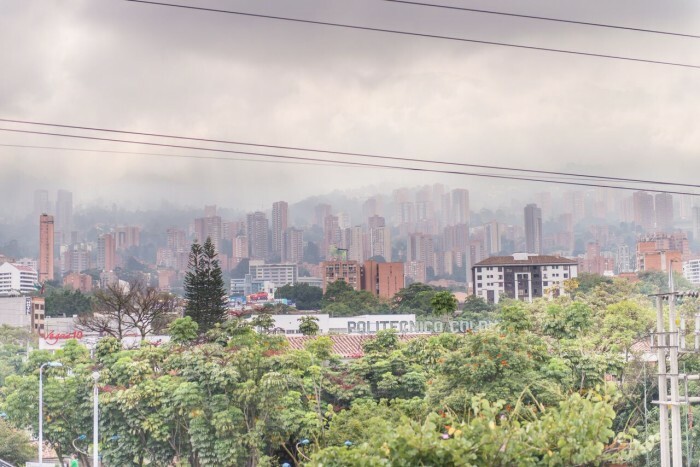 The vast network in Medellín has been globally recognized for its smart design, and ability to connect the lower, middle and upper classes. The system operates on a reloadable tap andgocard, the metro Civica. It is composed of buses, trains, and most importantly the gondola lift, Metrocable, funded in part by the infamous Pablo Escobar. 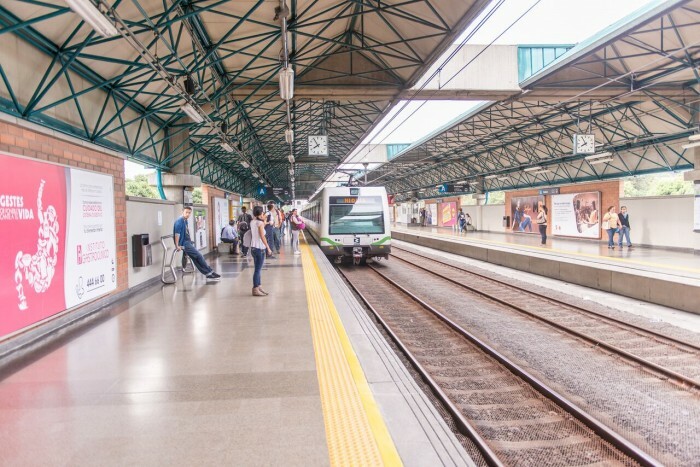 The Metrocable connects the barrios -low incomehousing – and provides an affordable means of travel that lowers unemployment and poverty. 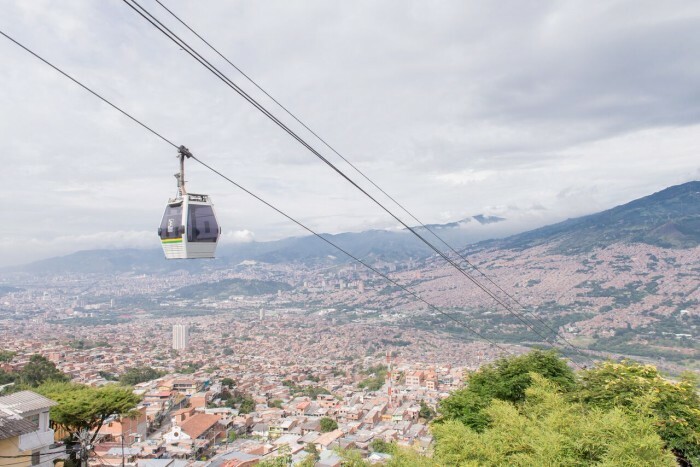 Don’t miss taking the Metrocable to the top of Medellín fora 180 degreemind blowing view. Walk through the El Pablado neighborhood for an eclectic mix of hip bars, and perfectly brewed Colombian coffee. Carrera 37 is excellent street all day and night, with its intermixed boutiques, cafes, restaurants and clubs. Cafe Velvet makes a delectable afternoon espresso, with its wide doors that fully open to create a perfect indoor-outdoor experience. 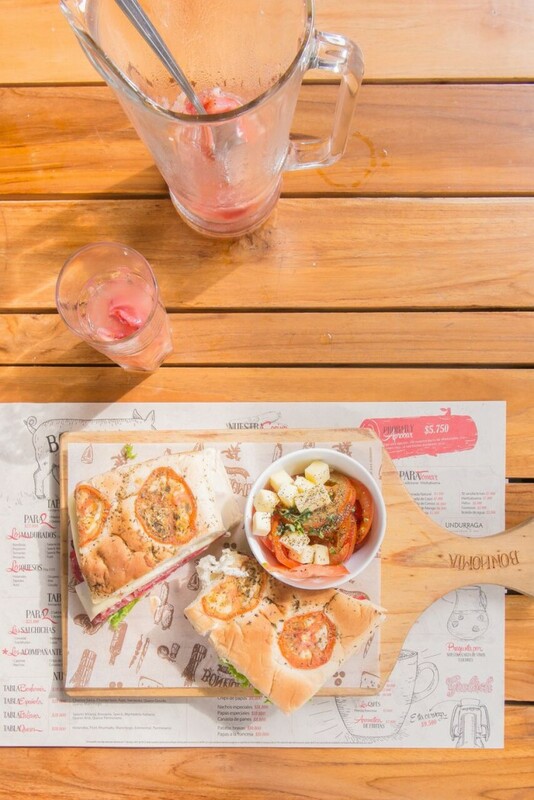 Bonhomia, a Colombian chain of restaurants, has an incredible deli where charcuterie plates are carved fresh or made into fresh and flavourful sandwiches. Don’t miss out on the rose sangria here either. If you time it right, sitting on a sidewalk patio during a soccer match of Colombia vs. Peru (etc.) is an unforgettable show of national pride. There is no shortage of late night snacks either. 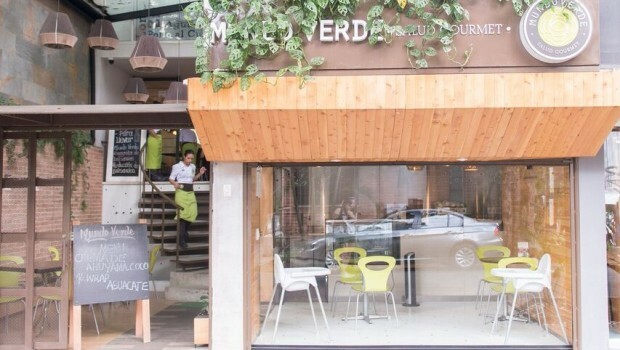 From “papas rellenas” (fried balls of mashed potato stuffed with meat and spices) sold from open windows, to enormous “poutines” of bacon, hot dogs, French fries and melted white queso (cheese), Medellín has you more than covered in the foodie department. 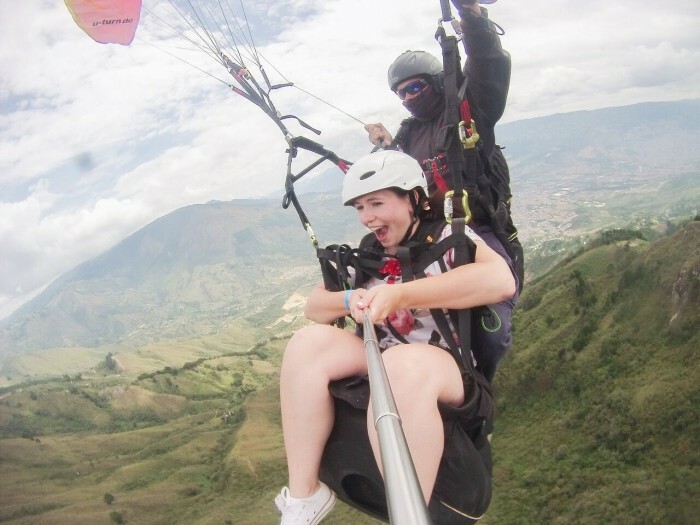 You haven’t seen Medellín properly until you’ve seen it suspended from a tandem harness paragliding in circles above it’s mountain peaks. 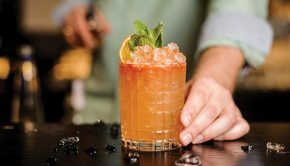 The drive alone, winding your way up the south-west corner of the city, will give you an unparalleled look at the dreamy warm haze of skyscrapers and traditional brick houses. I went with Aeroclub San Felix, which also offered GoPro footage to capture the experience for a small fee. Who is going to say no to that? I was incredibly terrified to run off the side of the cliff, but strong winds had us in the air before we came to the edge. This adventure ranks highly in life adventures, completely unforgettable! The best way to visit Medellín is with a local guide, and there are several small group guided experiences that will take you to Medellín as part of a larger tour of Colombia. 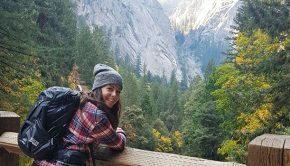 I went to Colombia with G Adventures who offered fantastic local insight, excellent accommodations, arranged private and public transportation, and overall an incredible experience. Alternatively, Intrepid Travel also offers multi-city itineraries for you to get the best overview of the country. With a decent exchange rate to the Canadian dollar, and low cost of living, there has never been a better time to visit Colombia.